Nessel Township’s goal is to have all roads passable within a reasonable amount of time after the snowfall has stopped. The Township does not assure a completely bare road surface and drivers are urged to use caution and drive with care. Snowplow equipment will usually not be dispatched until after the snowfall has stopped and 3 inches of snow have accumulated. During extended periods of snowfall, exceptions may be made. The snowplow will not be sent out in situations that may be hazardous due to restricted visibility. Clearing of roads will generally happen in three phases: 1) Making the road passable, 2) widening, 3) cleaning up. Depending on the situation, more than one phase may be accomplished at one time. Mailboxes and fences damaged during snow removal will be evaluated case by case. Only those mailboxes properly located and installed and damaged by actual contact with Contractor equipment will be repaired at Township expense. Township residents are reminded that it is unlawful to plow snow from driveways onto or across public roads. Piles of snow left on or near the road can freeze into a solid mass creating a hazardous situation for both vehicles and snowplows. Accidents and damages caused by snow piles left in or on the side of the roadway may result in liability to the property owner. Snow piles left on the side of a roadway increase the chances of drifting snow onto the road. Vehicles left or parked in the Township road right-of-ways will be towed at the owner’s expense. Residents are reminded to remove all obstructions from the Township road right-of-ways that includes boulders and any landscaping materials. Nessel Township and Muddy Gap Hollow Inc. are not responsible for damages if any vehicles and equipment are in road right-of-way. All residents of Nessel Township are responsible to clear their own driveways or hire a private contractor to plow their private property. Call Betsy Rising (320-358-4017) or Jared Landon (763-244-4380) for any road questions. Nessel Township requires a permit prior to constructing any driveway access from a township road. You must obtain the driveway permit from Chisago County Environmental Services. Culverts can be purchased directly from the township. The township does not provide burning permits, you must obtain your permit through a Fire Warden. Nessel Township does not furnish building permits. You must obtain your building permit from Chisago County Environmental Services. Chisago County has adopted Individual Sewage Treatment Systems Standards Chapter 7080, and Chisago County Subsurface Sewage Treatment Ordinance 10-1. For a homeowner’s septic system care guide, please call 651-213-8372. A perc test, specific design proposal, and septic permit are required for the installation, repair, alteration, or addition to a septic system. A septic tank must be ten feet and a drain field must be twenty feet from an occupied building. Septic systems must be located a minimum of ten feet from all property lines, including road right of way. Nessel Township maintains 62.3-miles of roads. In addition to snow plowing, you will see the Road Department doing culvert work, ditching, grading and roadside mowing. TOWNSHIP ROADS are maintained by the Township. If you have a concern and live on a Township road, please contact Road Committee members, Betsy Rising at 320-358-4017 or Jared Landon at 763-244-4380. PRIVATE ROADS are maintained by homeowners themselves. COUNTY ROADS are maintained by the Chisago County Engineer Public Works. 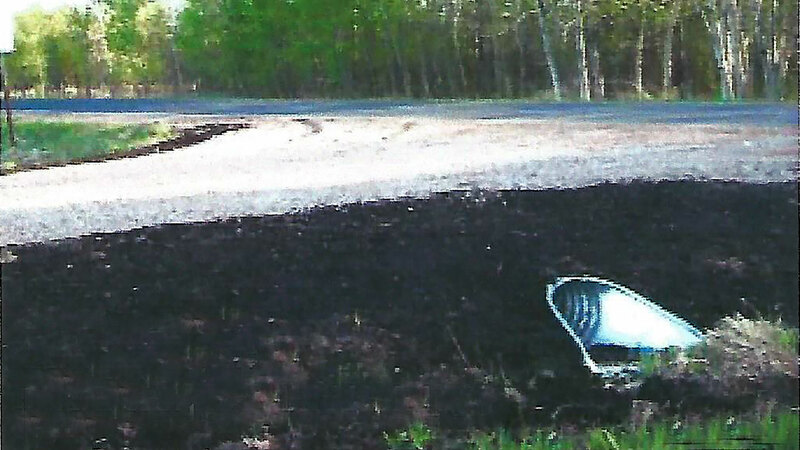 Concerns regarding plowing, dead deer pick-up or road repairs should be directed to the County Office at 651-213-8772. Chisago County Public Works is responsible for the efficient planning, design, construction, and maintenance of roads, bridges, and traffic control devices on the County Highway system. The Transportation Division provides for the overall management, direction, coordination, and budgeting for approximately 373-miles of County Highways. The Division seeks and implements Federal and State funding assistance for eligible projects and pursues cooperative projects with other governmental units. Collaborating with contractors, utility companies, governmental units, and other project participants to ensure an efficient construction schedule is a primary goal of the Division. What is the Road Right of Way? An easement exists, generally from the centerline of the road or street, 33” in either direction. This is the road right-of-way. The Township maintains the infrastructure within this easement which includes the road surface, ditching, culvert pipes and/or drainage structures. Ditches are for the evacuation of water from the road surface and the drainage of the roadbed to ensure the base of the road remains intact and does not become saturated, which will in turn cause road failure. Therefore, residents are encouraged to keep the ditch area cleared of large stones, fences, trees, and other obstructions. Obstructions in this road right-of-way may need to be removed for road maintenance or safety issues. It is important that the ditches remain unobstructed. New home construction will need to install swing arm style post. 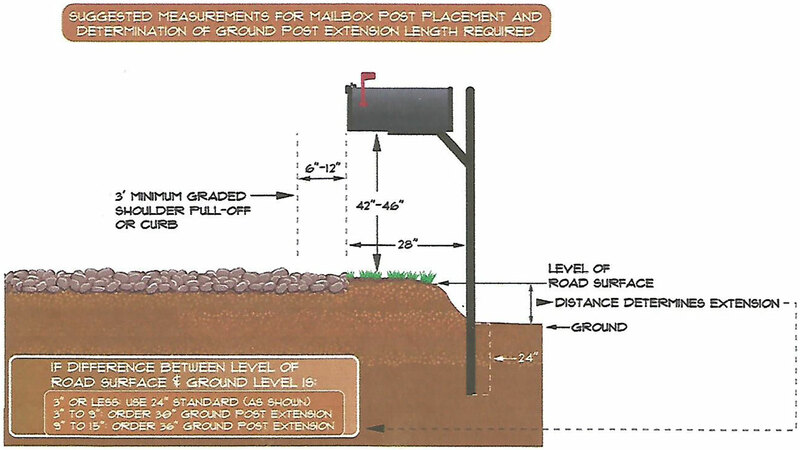 If you are replacing your current mailbox post, the township suggests that you replace it with a swing arm type style post. Swing arm mailbox posts are designed using a boom system which swings the mailbox and post arm out of the way when impacted by a vehicle, snowplow, or any other solid object. After the impact, the mailbox returns to its original operational position with minimal damage to the mailbox and none to the post as well as minimizing damage. Swing arm mailboxes and posts can mean the end of shoveling around your mailbox because the area is successfully plowed. Swing arm posts can be purchased directly from the township.